Want spunky hair? Or just plenty of volume? 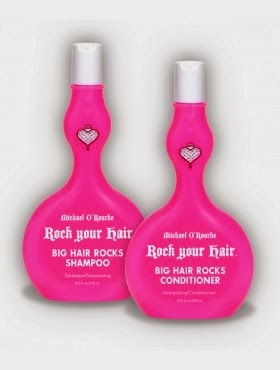 Try the Rock Your Hair Shampoo and Conditioner to help your hair get some oomph! I've been growing out my hair and although I've had my my locks trimmed, I still feel like my hair needs more volume. Upon using the Big Hair Rocks shampoo and conditioner duo, I've noticed an immediate lift in my roots and couldn't be happier! I've used it several times already and noticed my hair is more moisturized & rocked out. I'm loving the results! Bonus: It's formulated without Sulfate and Parabens, so none of that yucky stuff!